The Kenwood almond kMix KMX52G Kitchen Machine is the perfect blend of colourful, retro styling and classic Kenwood reliability and performance. The ergonomically designed controls and easy-fit attachment outlets are all conveniently placed at the front of the machine. 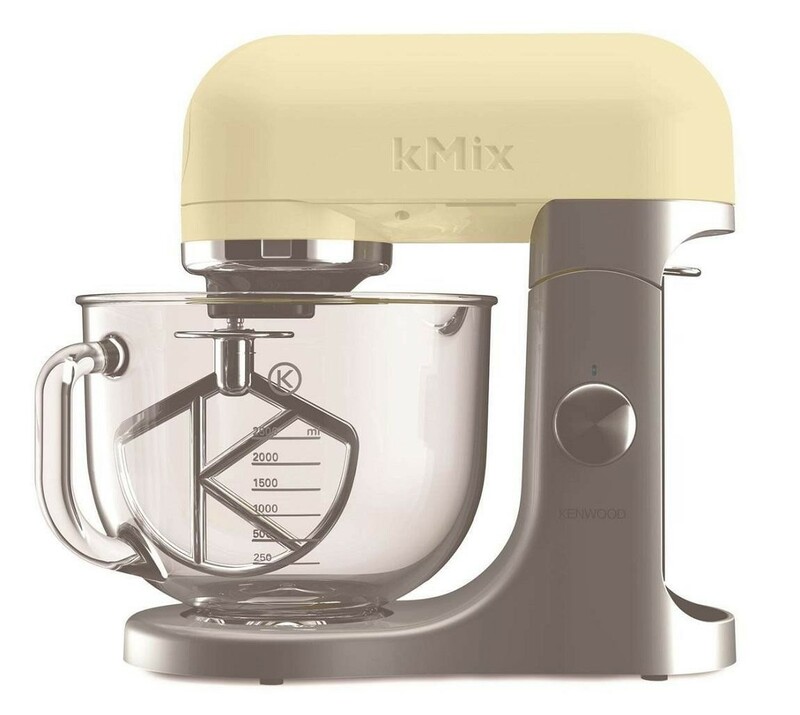 With a 5 litre glass bowl with large handle, 500W motor, planetary mixing action, and a range of clever attachments to choose from, the kMix kitchen machine comfortably handles large quantities of ingredients and the stiffest of doughs. The unique fold function allows the bowl to revolve using a 2.5 turns revolution mixing action to perfectly incorporate ingredients without losing air, which is important in baking mixtures. The unique speed control carefully and smoothly builds up speed without causing the spillage of ingredients, particularly when mixing in flour.